Fan va galet! 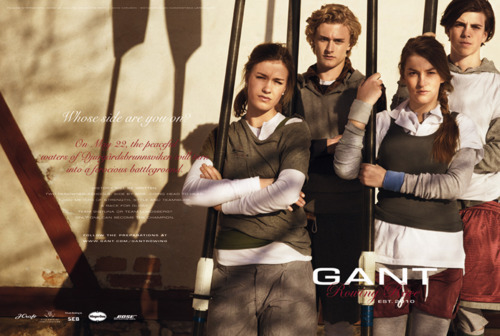 Your friend from Sigtuna, Adam, is second from the left in this Gant Rowing ad. You may recognize him from the seventh pic down in the "Biarritz" post. And here's a video from the event.